The i O-Link from Global creates an RF output on new Sky HD boxes that do not have an RF2 output (currently the Sky DRX595 Sky HD box, the Sky DRX890w and Sky DRX895w Sky+HD boxes). 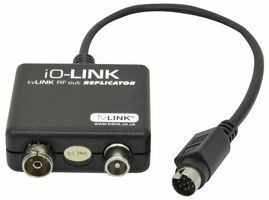 The iO-Link once connected to a Sky box will allow you to use a Sky TV Link (Magic Eye) in another room to control the Sky box. 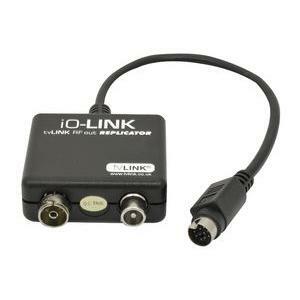 If your home has several TV Link enabled TVs running from a distribution amplifier you simply connect the iO-Link to the amp then to each individual TV with a Sky TV Link. Having supposedly upgraded to the Sky HD box have hit the need for an IO link. Will this product allow viewers in other rooms to watch what is selected on the HD Box and/or terrestrial TV. I have an amplifier in the roof. Does it take terrestrial aerial out to my other two rooms? Hi yes with the new boxes you need this IO link.